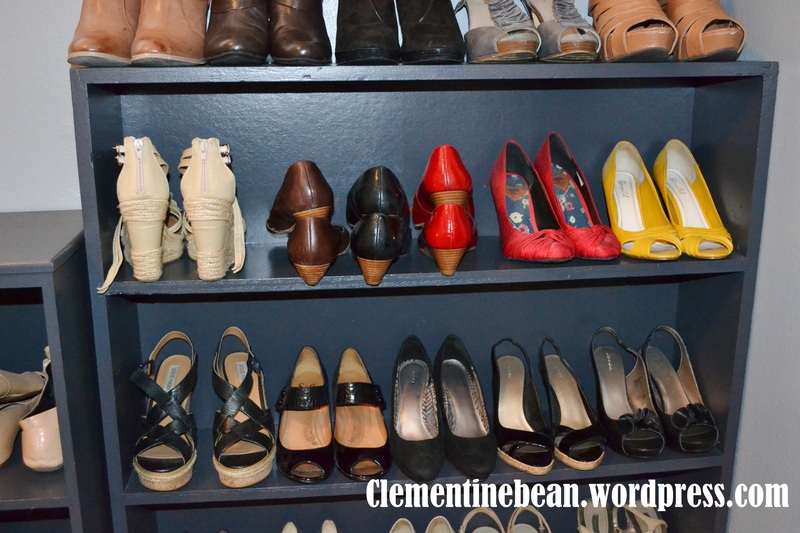 This weekend I went to my second ever Clothing Swap Party. Not sure what that is? 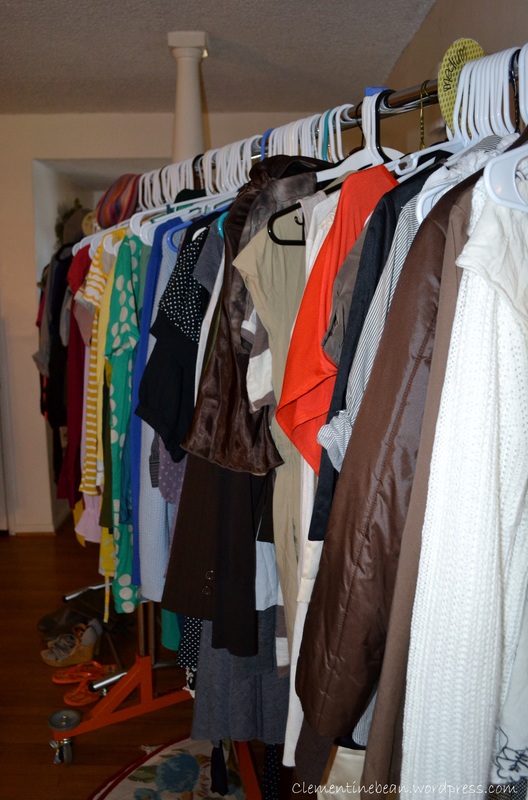 Basically, you invite a bunch of ladies to clean out their closets and get rid of anything they no longer want. 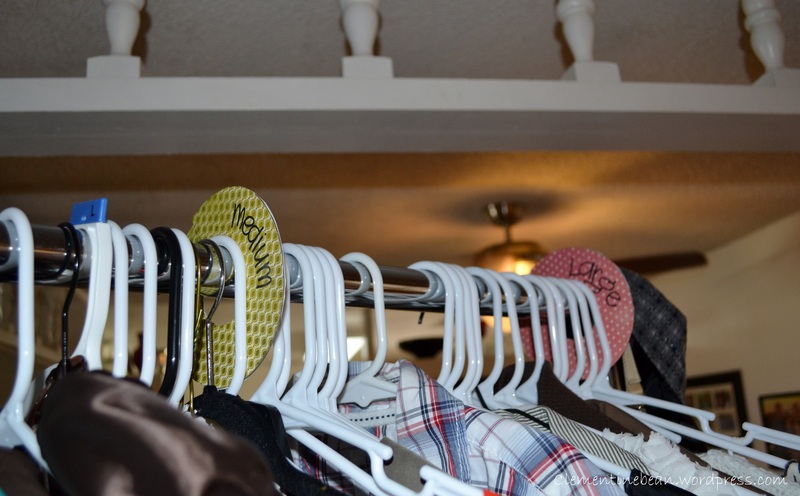 Everyone brings all their unwanted items to someones house and sorts them into categories by type of item (shirts go with shirts, pants with pants etc). Once everything is all sorted and organized everyone draws a number to see what order they get to pick items. One by one each girl gets to pick a new item they want to keep. Doing it this way makes sure everyone gets a fair shot at getting the most wanted/cutest items and not just the girl who can grab things the fastest. At the end of the party anything that is still left gets donated. 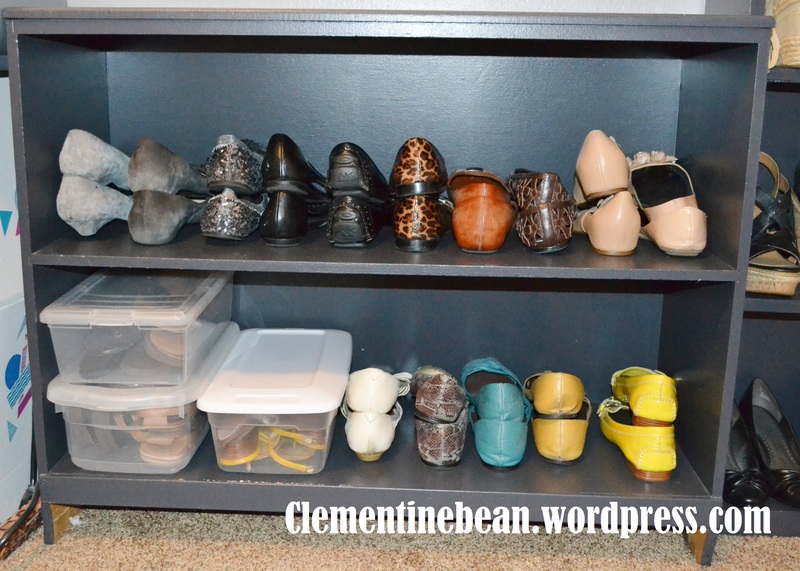 Basically you get to go shopping in your friends closets but never have to return the items. How fun is that! This was my pile of goods to contribute to the party. 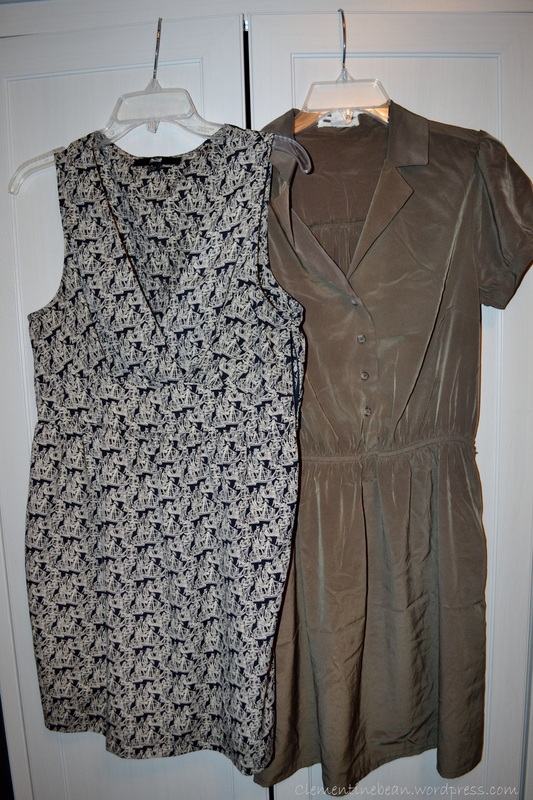 Certain items, like camis and undergarments, I just trashed because I knew no one would want them. I ended up with 3 bags packed full with clothes I no longer wore and was happy to say good riddance forever. 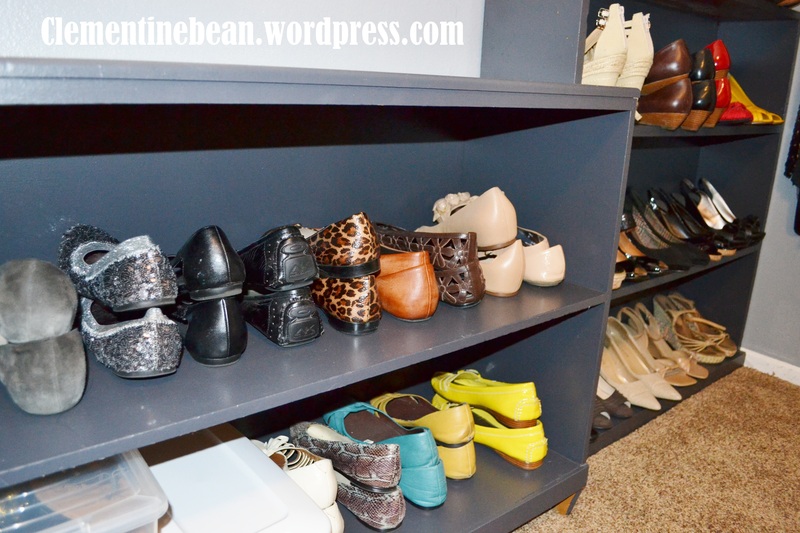 I actually ended up trying on everything in my closet to make sure I was getting rid of the items that no longer fit or just didn’t look good on me anymore. We gave all of our clothes to my friend Ashly a week before the party and she graciously sorted them all for us. When we got to her house she had hung and folded everything and even sorted them by size and color! It doesn’t just have to be clothes either. 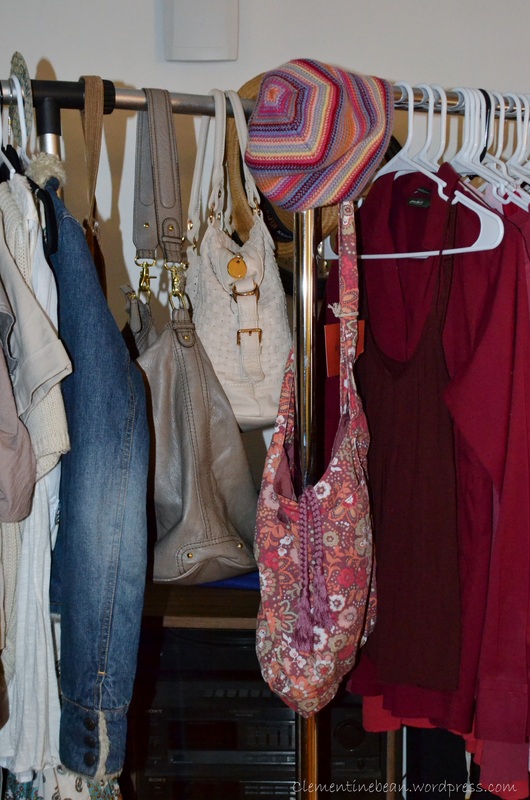 We had a good mix of scarves, belts, purses, hats and shoes to go along with all the clothes as well. 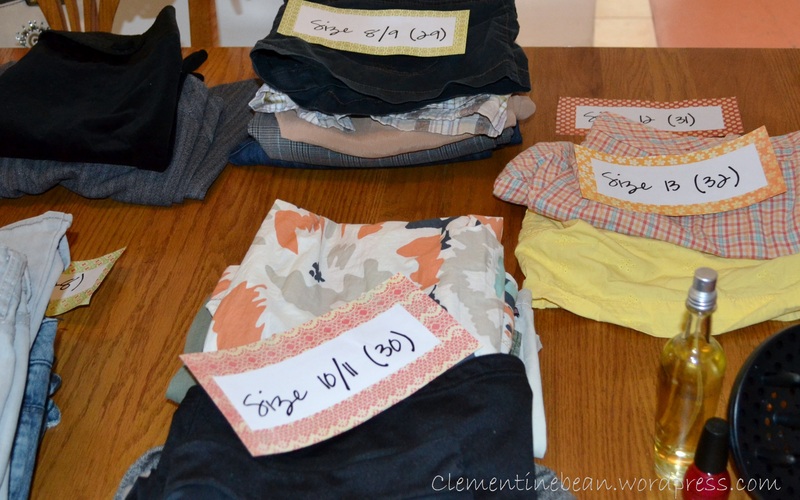 Here are some of the things to keep in mind to make sure your clothing swap is a success. 1) Invite girls of all different sizes. 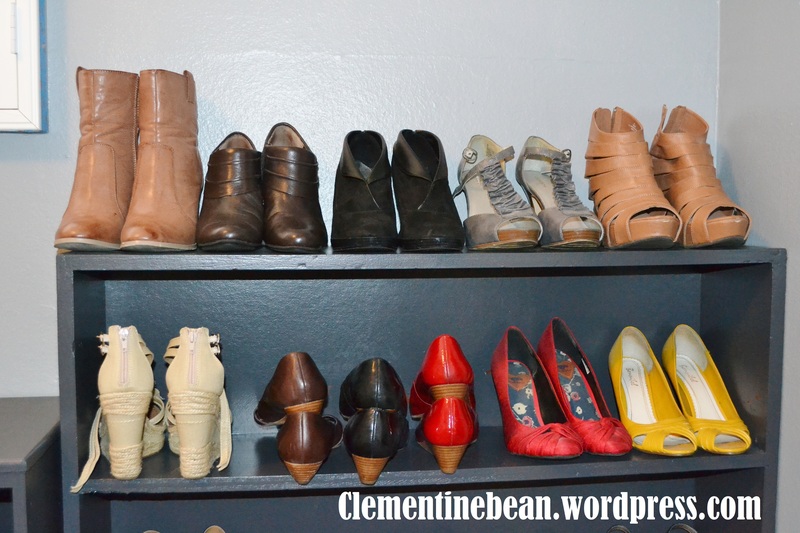 Doing this insures a wide range of clothing sizes for everyone to pick from. 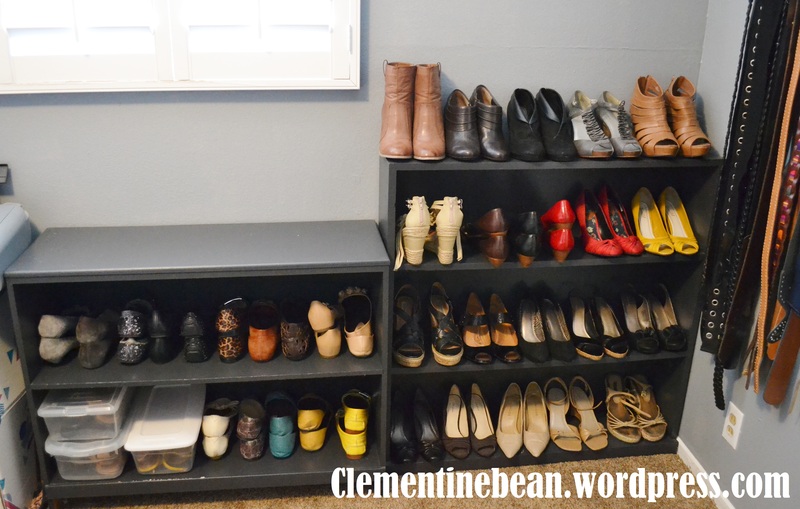 2) Remind everyone that the items once belonged to someone else so be mindful of what you say about them. You wouldn’t want to make fun of a shirt for how ugly it is, and then remember the girl who brought it is right next to you. 3) Ask girls to wear clothing that is easy to try items on over. We had a slew of girls dressed in yoga pants or leggings and camis or tank tops. That way not everyone is fighting for the bathroom. Of course the bathroom is necessary for trying on jeans and pants. 4) Put up lots of mirrors around the swap area for girls to try items on. 5) Use the first 30 minutes of the party to just look through everything that was brought. Let girls try things on freely, so long as they put them back. Then when it is time to do the picking, girls already have an idea of which items they want. 6) Have girls draw numbers and go in that order to pick items. While #1 is picking, #2 and #3 can be up looking through the racks and trying things on as well to make it go a little faster. Just make sure #1 gets to pick her item before #2 does. 7) Let each other know what looks good and what doesn’t. 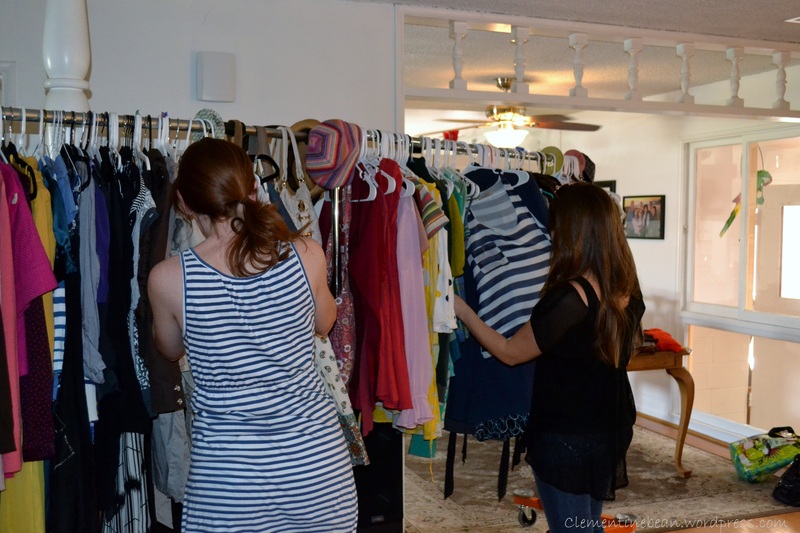 We had so much fun helping girls find flattering clothing. It was also really cool seeing the same shirt on a short girl versus a tall girl and seeing how differently it can look on different body shapes. Honesty can really make a girl feel confident in wearing something. So what did I walk away with? I ended up with probably about 15 pieces but here were some of my favorite items I snagged. 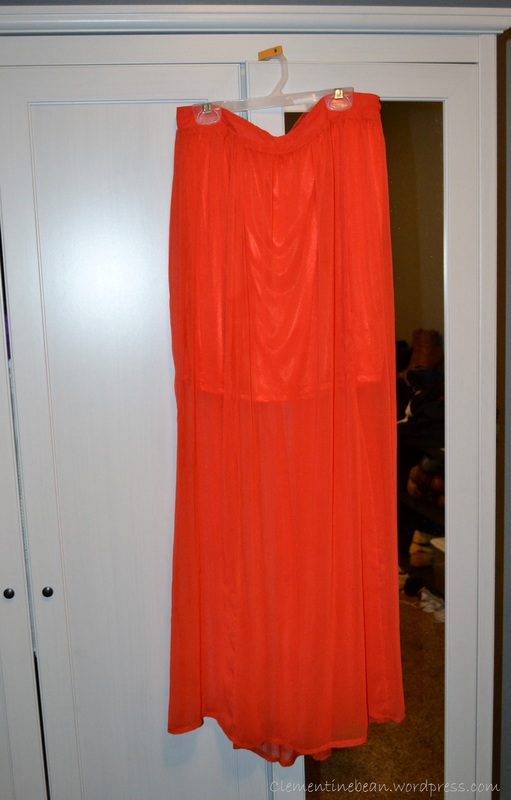 A beautiful coral/orange maxi skirt. A few patterned tops and bright cardigans. 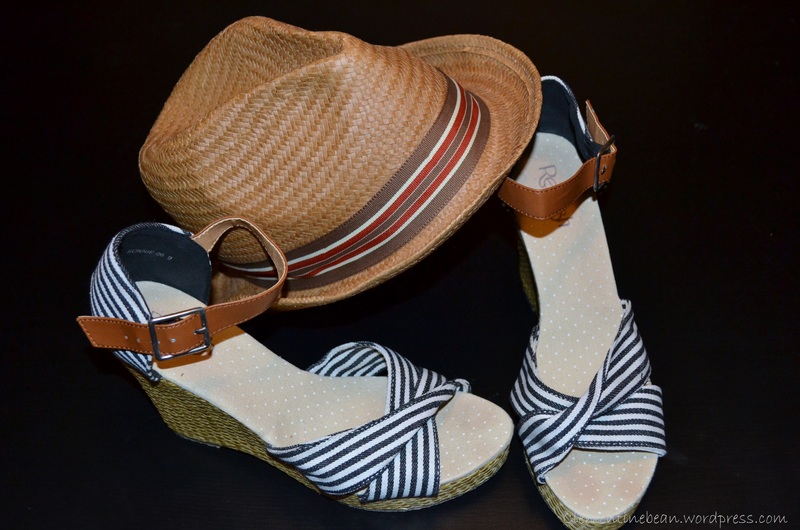 Summery wedges and a straw hat. Cute dresses. 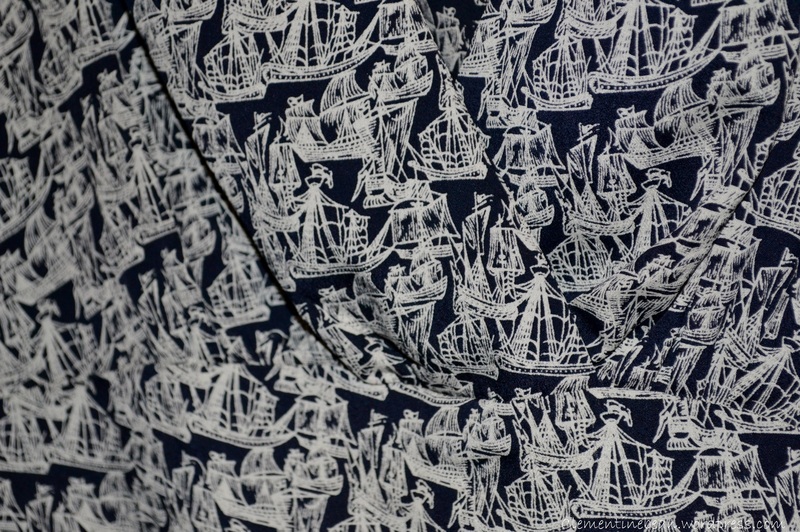 The one on the left is my favorite because the pattern is actually little boats! I had such a great time and walked away with a whole new wardrobe. Best part about it is that I brought home more items then I ever would have from the mall, but I didn’t spend a penny! 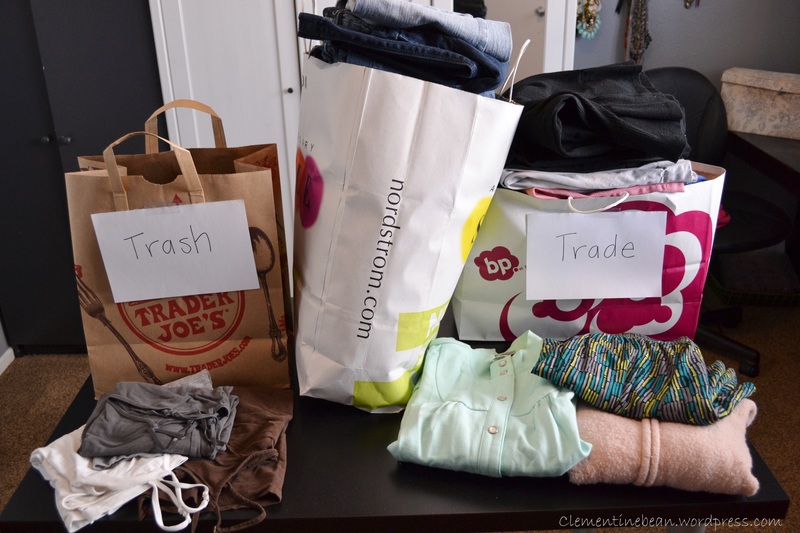 Clothing swaps really satisfy the need to shop and don’t make a dent in the wallet. At the end of the party we started thinking we could do this same style of party for a lot of different items. 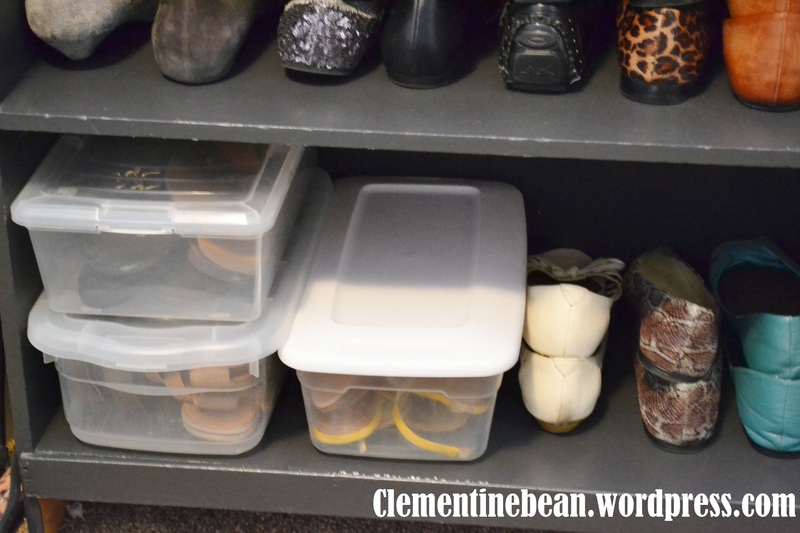 A jewelry or book swap, or even a home goods swap. How fun would all of those be? Mixing up what you swap could help vary who comes to the party as well, like men or people of different ages too. 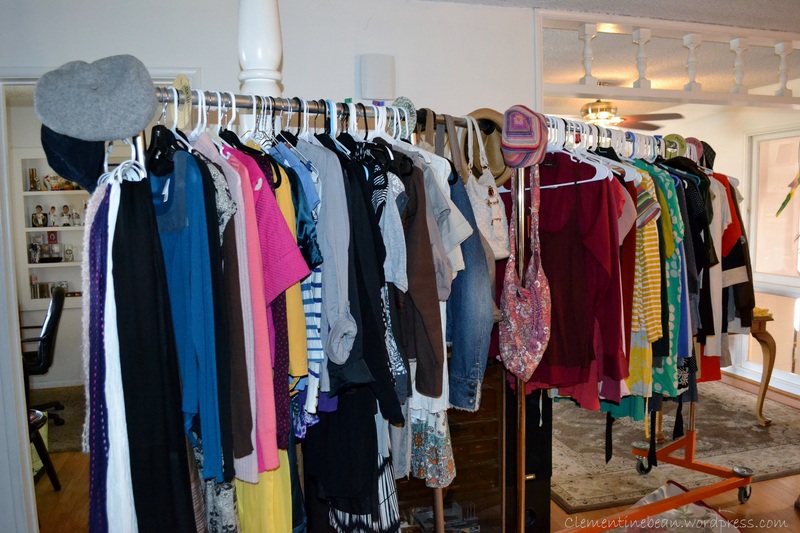 Have you ever been to a clothing swap? I have always had the most sensitive ears, but despite that, I love wearing fashion earnings that you can pick up for cheap at stores like Target, Forever 21 etc. 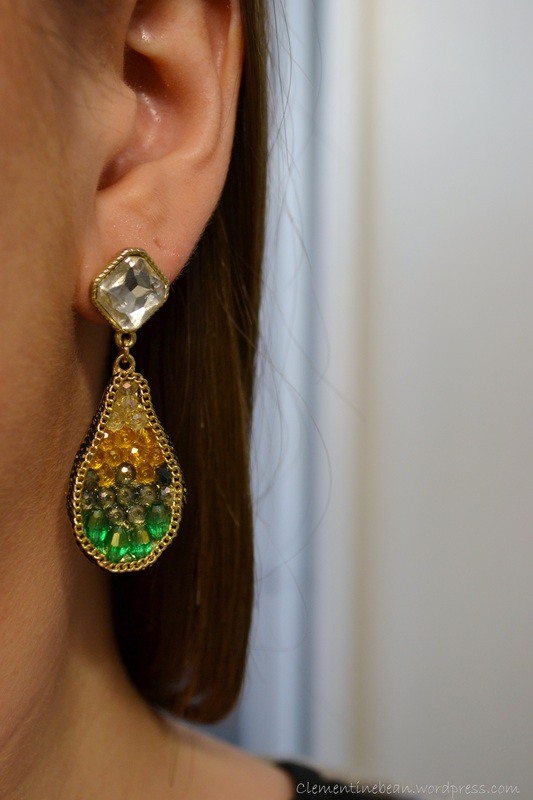 Because I don’t have the budget to buy real gold or silver earrings, I have tried many different ways to help my ears wear cheap fashion earrings longer. If I don’t do anything to my ears, I can only last about 1-4 hours with earrings in before my ears are screaming in pain and red. 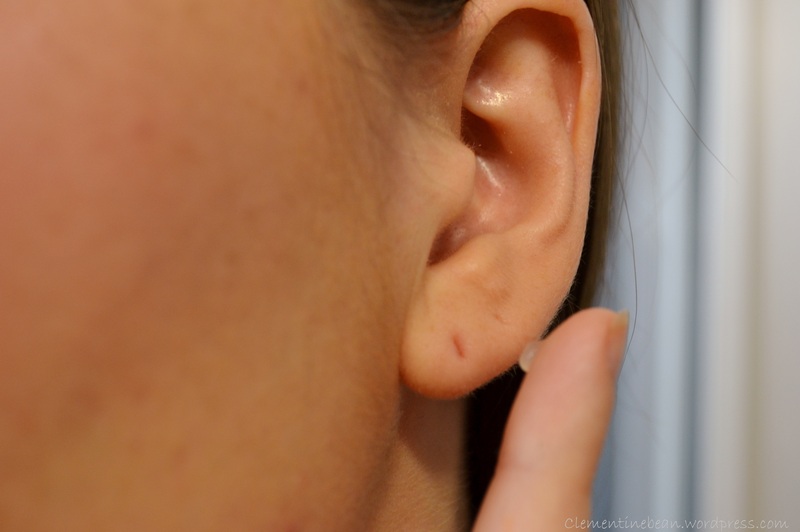 I used to only wear earrings on special occasions, fight through the pain for a couple hours, and when I would get home I’d take the earrings off and smother my ears in Neosporin. 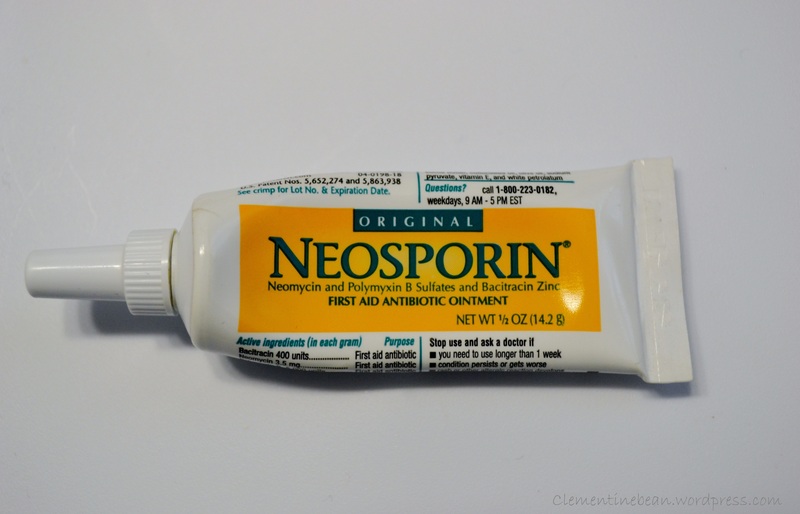 The Neosporin would not only calm any pain, but it would also heal any infection that might have otherwise happened. Then I started thinking, what if I put the Neosporin on BEFORE I wear the earrings. 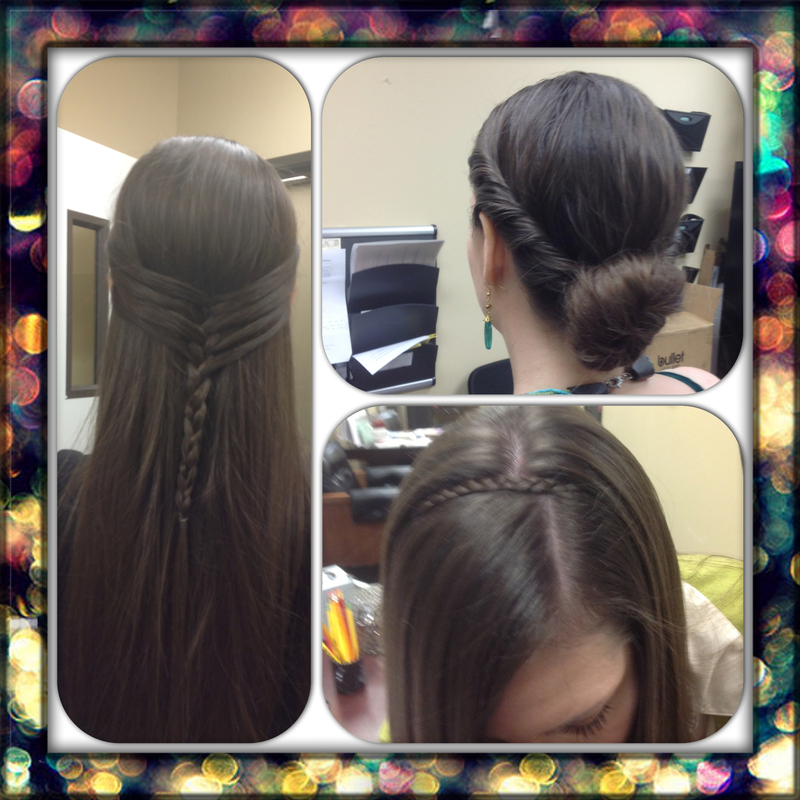 So I gave it a try and was blown away how much of a difference it made. I am able to wear earrings now for almost the whole day (around 12 hours) without feeling any discomfort at all. 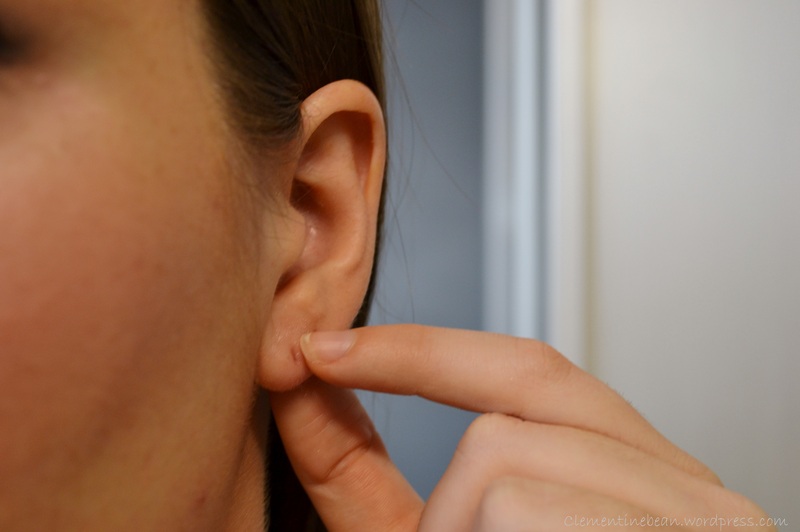 I take just the smallest amount of Neosporin and rub it all over the pierced area of my ear making sure to get it inside the piercing hole as well as anywhere the earring will touch my skin (front and back). 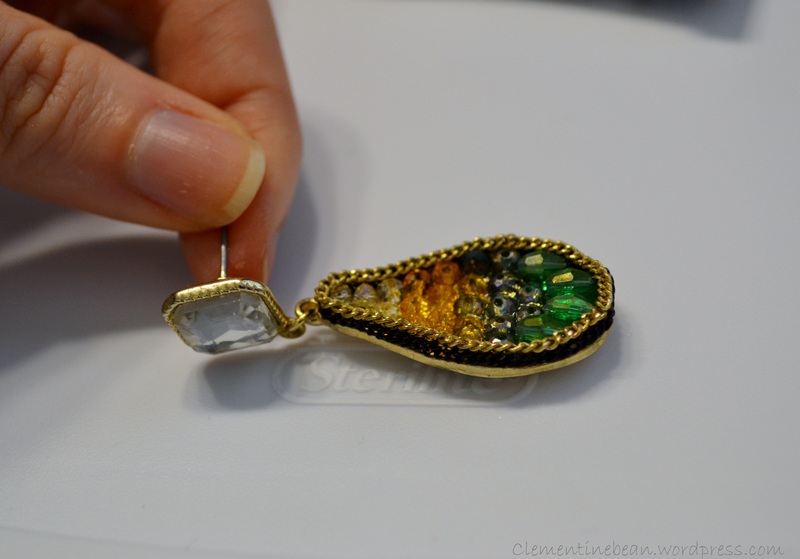 Then I take whatever product is remaining on my finger and rub it all over the post of the earring. Voila! My little found-by-accident-but-really-works home remedy for extending the time I can wear fashion earrings even with my sensitive ears. Side note: Want to know how I found out I was allergic to nickel earrings? When I was a young girl I had this pair of red lady bug shaped earrings (oh you know I was a cool kid). The first time I wore them, within seconds of putting them in my ears, I passed out. Full on, lights out, laying on the floor, incoherent passing out. Thinking I just had low blood sugar or something else caused me to pass out, I disregarded that it could be the earrings. Then a few weeks later it was election day at my elementary school and I was running for vice president. I wanted to wear red, white, and blue, so I grabbed those little red lady bug earrings and put them in. BOOM! Light outs again. I never even made it to school to vote for myself. Remembering the same thing happened the last time I put them in, I realized it was the earrings. My dad took them to work to test them to see what they were made of, and low and behold they were made of nickle. From then on I have avoided nickle like the plague. Even with the Neosporin trick, I make sure all my earrings are nickle free. 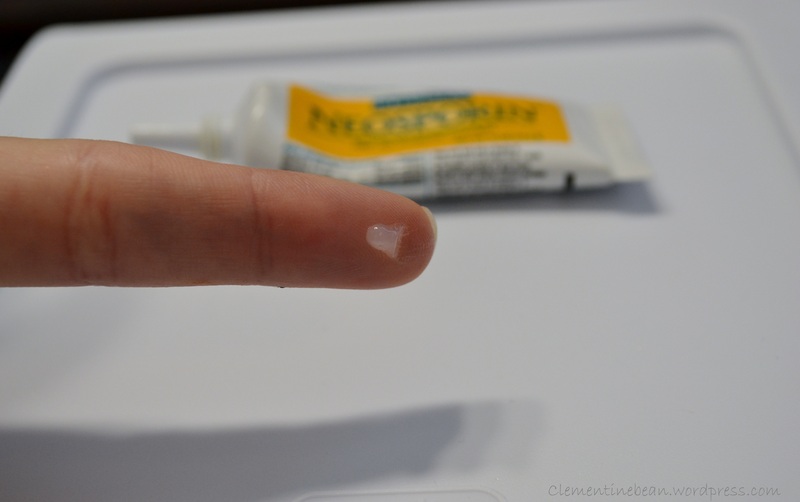 Not even Neosporin could help me with that! P.S. I won that elementary school election. Yeah!